DIAVENA is the first private owned fish canning company in Bulgaria. Since its inception in 1989 until today the company stands its company's values and principles. DIAVENA is a synonim of quality and product diversity. The company is satisfying the most demanding taste and needs of its customers. The food safety and the quality of the products is DIAVENA main goal (certified under IFS). From more than 30 years DIAVENA is a leader in the local market of canned fish, which makes the company preferred and reliable partner. Thanks to this, DIAVENA can monitor and obtain top quality production from the fishing vessel, through the storage and production, until the basket of the end client. The primary goal for DIAVENA during the years is to offer the best and high quality products to its customers. DIAVENA successfully achieve this goal by responding to the needs of its customers with products manufactured under DIAVENA own brands and producing under foreign brands. DIAVENA production is 100% own production, this allows the company to guarantee the products quality. DIAVENA produces canned fish of various types of fish: mackerel, tuna, sprat, herring, sardines, etc. The company products are available on the local and global market under several private labels. 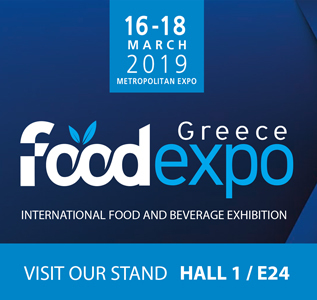 DIAVENA will participate in the International Food and Beverage Exhibition, Food Expo Greece 2019. The show will take place on March 16-18, 2019, at the Metropolitan Expo in Athens, Greece. 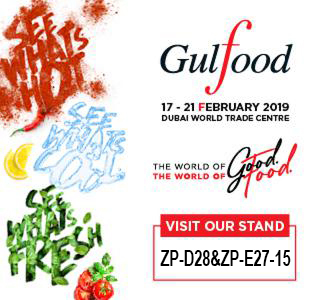 DIAVENA will participate in the biggest Food & Beverage business event in the world, Gulfood, opening at Dubai World Trade Centre, 17 - 21 February 2019 carrying a new show experience "The World of Good, the World of Food". It is strictly forbidden to copy material without reference to the source with active connection! If you wish to use text - contact us or add active (dofollow) link to the site!